2.3 Brazil nuts for better mood? – German / Deutsch: Paranussbaum, Amazonenmandel, , Brasilnuss, Marahonkastanie, Brasilianische Kastanie, Steinnus. Scientific name: Bertholletia excelsa Humb. & Bonpl. 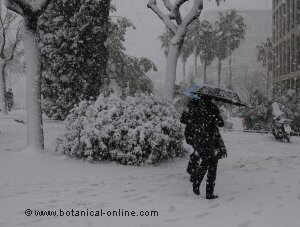 Distribution: The tree grows naturally in the Amazon forests of Brazil, Bolivia and Peru. Introduced in Malaysia, Sri Lanka, Java, Hawaii and the Caribbean. 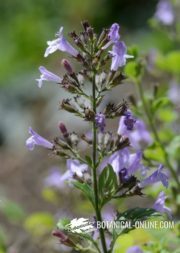 Habitat: It grows in deep, well-drained alluvial soils on high ground. It does not tolerate flooding. Large tree, 30 to 50m high. The base of these trees can reach 2m wide. 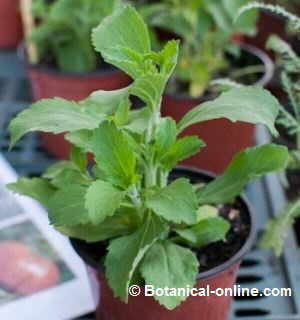 Dark green leaves, oblong, 30 to 50cm in length. Flowers solitary or in clusters, small, about 2 cm in diameter, yellowish. The fruit is a globose, woody capsule (pixidium), with a shape and size similar to an orange, between 8-15cm in diameter (The natives call this capsule “ouriços”). When mature, it releases the seeds found inside. 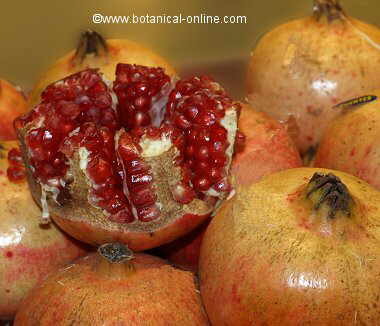 A fruit may contain between 14 and 24 seeds, hard shelled, 4-7cm long. By breaking this shell, Brazil nuts or coquitos are obtained. 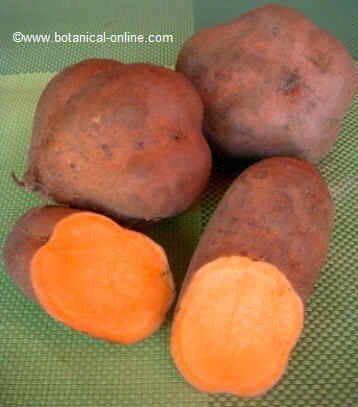 – It is mainly used to produce seeds, Brazil nuts. For centuries, it has been an important food for many Amazonian tribes. It is currently marketed as a dried fruit. 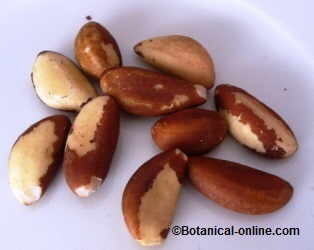 Brazil nuts can be used for ice cream, pastries, sweets, desserts, etc. With its seeds, a vegetable milk, known as chestnut milk (Leite castanha), is made. – You can get Brazil nut oil, which is rich in linolenic acid and has cosmetic properties to beautify the skin. The extraction residue is a flour rich in proteins that, combined with wheat flour, is used for making bread. It can also be used for animal feed. – Tree wood has a reddish-brown color and can be used to make furniture, but felling of these trees is prohibited (by law) in some countries. 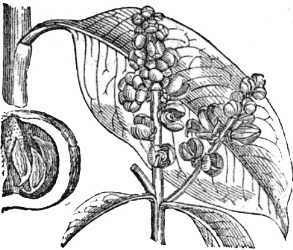 – The capsule fruit (pixidium) is used to burn, or for local craft work (boxes, ornaments, mortars, etc.). Brazil nuts are very rich in plant seeds proteins, essential fatty acids, fiber, potassium, phosphorus, calcium, magnesium, selenium and vitamin E.
They are the richest nuts in magnesium and the richest in selenium of all food. Per 100g Per serving 20g. 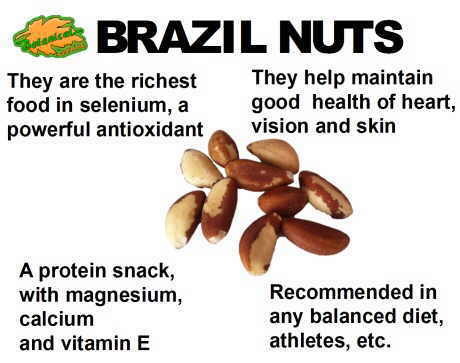 Brazil nuts are the richest food in selenium. Brazil nuts contain a very high amount of selenium compared to any other food, animal or plant. Selenium is a mineral needed for many body functions. It is part of glutathione peroxidase enzyme, an antioxidant system which prevents free radical formation, improves function of the immune system and prevents premature aging. Selenium of Brazil nuts is united in its selenomethionine and selenocysteine proteins. The enzyme glutathione peroxidase contains four molecules of selenium (United as selenocysteine). Eating foods rich in selenium stimulates the antioxidant activity of glutathione peroxidase (Brazil nuts are the richest food in selenium). Selenium has been studied as a cancer protective antioxidant factor. Brazil nuts may reduce the risk of certain cancers, including breast cancer. Therefore, one could say that Brazil nuts are antioxidants as the antioxidant properties of selenium is added to the high content of tocopherols which this fruit also contains (vitamin E). Vitamin E is a vitamin with antioxidant properties that helps maintain good vision health, reproductive system and skin. Vitamin E is an antioxidant that protects cells and body fat against the action of free radicals. When free radicals propagate in the body affecting other cells, destabilize their membranes and can cause skin damage or affect DNA (premature aging, degenerative diseases, etc.). Usually eating foods rich in vitamin E, also has a protective role against the development of cataracts. For its nutritional value, Brazil nuts are highly recommended in case of high-performance sports, to provide vegetable protein, magnesium, calcium and antioxidants to athletes. 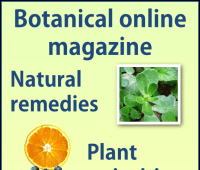 It is also recommended in those cases where there is a need to increase the dietary antioxidants: smokers, cleansing diets, chemical poisoning; and those affectations in which increasing vitamin E and antioxidants is recommended: arthritis, fibromyalgia, diet for Parkinson’s disease, psoriasis, lupus, Alzheimer’s, etc. Brazil nuts with brown skin are richer in antioxidants that peeled ones (skin has more flavonoids). Brazil nuts for better mood? In a double-blind study it was evaluated supplementation with 100 mcg of selenium daily in 50 individuals who had to fill out a questionnaire about their mood. The results suggested that low levels of selenium are associated with higher incidence of anxiety, depression and fatigue. It is suggested that a diet rich in selenium may help improve mood. In addition, Brazil nuts are also rich in lecithin (phosphatidylethanolamine), a component necessary for the proper functioning of the nervous system. Foods rich in lecithin are recommended to improve memory, against nervousness and stress. One study showed that Brazil nuts were very rich in phytosterols (beta-sitosterol), a component that helps reduce cholesterol and may have a beneficial effect on menopause to help reduce your symptoms. Brazil nuts are rich in monounsaturated and polyunsaturated fatty acids. They are one of the most foods rich in linoleic acid and have a high proportion of oleic acid. Linoleic acid is an essential fatty acid of omega-6 series with anti-inflammatory properties and necessary for good health of skin, nervous system and vision. 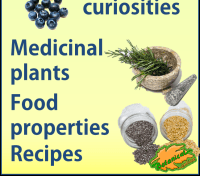 The body transforms it into substances called prostaglandins, with anti-inflammatory properties. Although it is often talked about the benefits of omega 3, it is important not to forget that omega-6 fatty acids are also essential in the body as they play equally interesting functions for heart health, because of their anti-inflammatory, antithrombotic and vasodilator properties. Brazil nuts balance their fat with a healthy intake of insoluble fiber and phytosterols. Insoluble fiber helps eliminate cholesterol and provides satiety, in addition to their properties to avoid constipation. Brazil nuts are rich in phytosterols that prevent the intestinal absorption of cholesterol. The antioxidant capacity of Brazil nuts and its content in essential fatty acids, proteins, minerals and vitamins, make them a very suitable food in any diet for skin, muscles and joints. 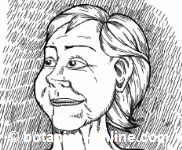 Adequate food slows the aging causes on the skin, manifested in the form of wrinkles, age spots, crow’s feet, sagging and other imperfections that make us look older. The components which assist in skin health are vitamin E (it protects skin cells against aging), selenium (antioxidant) and linolenic acid (it constitutes part of the structure of healthy skin). As a result of its high content in selenium, Brazil nuts help increase the defenses protecting the body against infectious diseases. It has been found that people who have low levels of selenium are more likely to get sick. Therefore, a diet rich in foods containing much selenium is suitable for healing wounds, cuts, burns, and infectious diseases such as flu, colds, etc. Brazil nuts are the richest nut magnesium (its content is only surpassed by sunflower seeds). Magnesium is a mineral regarded as a muscle relaxant, since it is involved in the contraction s and decontraction of muscles. It is recommended to increase the intake of magnesium when there is hypertension and heart disease (to improve heart muscle), for athletes, or when there are muscle problems. People should not worry about Brazil nuts increasing their cholesterol levels or gaining weight if they are consumed in appropriate portions (5-6 units per day), this food can bring them many benefits without providing a great contribution of fat. In addition, diet therapy is also recommended to increase the intake of magnesium in cases of chronic fatigue, fibromyalgia, people with bone problems, arthritis, osteoporosis, etc. People with allergies to nuts, such as pistachios, soy, peanuts, cashews, walnuts or almonds may be allergic to Brazil nuts, because they are processed in the same factories and can be found traces of them in the seeds. Excessive consumption of Brazil nuts can cause hair loss due to the high amount of selenium. An excess of selenium can be toxic. More information , on Brazil nuts.